Need more veggies in your life? When you hear sweet potato, you may automatically think of the classic Thanksgiving side dish drowning in brown sugar and butter. That’s a thing, but it isn’t quite what we’re suggesting for lunch (…unless you want that. Then who are we to hold you back?). 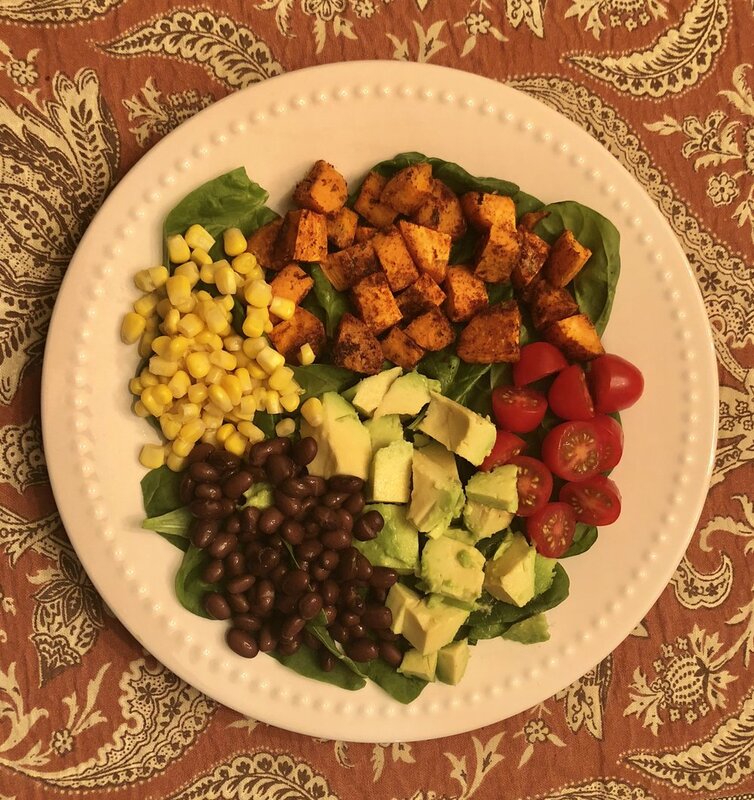 Sweet potatoes are so versatile, and with the right seasoning, prep, and pairing with other ingredients, you can fulfill any lunchtime craving while also upping your veggie intake. What kind of dishes are we talking about? You’ll want at least 1 lb of sweet potatoes — so you can potentially have it for more than one day (meal prepping will save you time and money)! You’ll clean the sweet potatoes, peel them, and then cut them into 1”-2” cubes. You’ll throw them in a bowl and do a quick coating of olive oil (or whatever oil you prefer). Once you add your respective spices, you’ll stir the sweet potatoes to coat them. Preheat the oven to 375 degrees. Spray a baking sheet or line it with parchment paper. Toss your spiced sweet potatoes onto the baking sheet and then place them in the oven for 10 minutes. After 10 minutes, you’ll want to flip your sweet potatoes over and put them back in for another 10 minutes or until tender. Aren’t crazy about a particular pairing suggestion? Omit it! These tasty (and veggie packed!) bowls are your creation. If something else sounds better, go for it, but let us in on what worked for you!